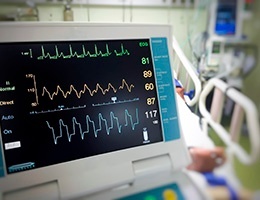 In emergency medicine and presumably in urgent and primary care, one of the common failure-to-diagnose drivers is the failure to recognize or act upon abnormal vital signs. In one analysis of 90,000 patients that we published in Annals of Emergency Medicine, 16% of patients presented to the emergency department with an abnormal vital sign, and 10% of that group went home without a single repeat of the abnormal vital sign. That analysis came from over 200 emergency departments across the U.S., representing over 7 million patient visits annually. From a quick calculation, you can see there are a lot of patients with abnormal vital signs being discharged from EDs across the U.S., and there are undoubtedly failure-to-diagnose adverse events and significant morbidity in that patient group. How could that be? Everyone on the clinical team is a dedicated healthcare professional, and everyone wants the best for their patients. But the physician may not have a current awareness of the vital signs because they are not in the visual, or they are in the visual but nothing highlights the abnormalities. The physician tells the nurse to discharge; the nurse may not have vitals in the visual, and if he does, he may feel the doctor knows best and it’s okay to discharge the patient. That problem needs an immediate fix. The immediate fix is easy — just create a constant current awareness for the team and make sure that in the workflow, at the moment of the discharge decision, if the team missed the “current awareness,” there is a forced awareness of something that truly needs to be known by the team: Patient is being discharged with abnormal vital signs. The images below demonstrate what might be in the visual in the patient’s EMR and what a forced awareness might look like at discharge. There are actually several other critical vital sign considerations, too many to include here. But another important one is creating an awareness of vital sign trending. Humans tend not to be great at connecting the dots. That is, given all the facts and circumstances surrounding patient care, it is sometimes difficult to recognize critical vital sign patterns. 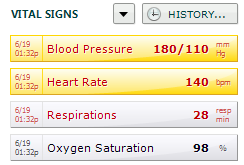 Vital signs are often displayed in table format. Review the example below. This is a 70-year-old woman who presented with a cough and history of fever. Does the problem jump right out at you? No, it doesn’t; these numbers don’t look too bad. The fact is that her mean arterial pressure has been dropping in the two hours she has been in the emergency department. It is far easier to recognize the trend in the following graphic presentation. In addition, if we are in an electronic environment, let’s use it. Let the program do the math and let the practitioner know that there is a 20% or a 40% drop in mean arterial pressure over time. 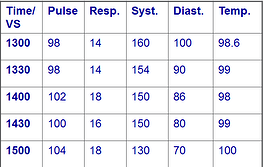 Similar logic holds for trends in pulse rate, pulse oximetry and respiratory rate. Let the EMR do the heavy lifting and then deliver the message through a method carefully designed to achieve recognition by the clinical team. 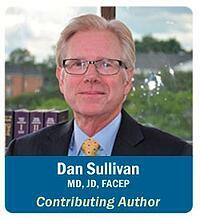 There are many features that can be built around vital signs in the EHR/EMR world. We have outlined 2 key areas that actually help facilitate 1) communication between clinicians about vital signs and patient status, and 2) clinical judgement and decision-making. In addition to these features, TSG has spent time building algorithms for early recognition of sepsis and pulmonary embolism based on pulse-temperature disparity rules. To learn more about these features, please contact Brant Roth at broth@thesullivangroup.com.